Baldwin has a 60 year legacy of craftsmanship and innovation. Rated #1 in quality by builders and contractors, Baldwin is pleased to offer a line of luxury hardware for the discriminating consumer, our Prestige Series. Feel the difference - Baldwin hardware is solid throughout. With a 60 year legacy of superior style and quality, Baldwin is the choice for an elegant and secure presence. Tobins refined curves and sleek contours are delightful to the eye and pleasing to the touch. The crisp, clean appearance of the Satin nickel finish adds to the overall look of the product and brings a modern feel. The dummy, or inactive function, is surface mounted on doors where only a pull is required. The Freedom Matte Black Keyed Entry Door Lever provides your home décor with a clean, rustic appearance. Designed for exterior doors where keyed entry and security is needed, each lock can be re-keyed to fit your keyway. Please speak with your local Home Depot associate for further details on this process. Prestige Tobin Satin Nickel Right-Handed Dummy Lever Baldwin has a 60 year legacy of craftsmanship and innovation. Rated #1 in quality by builders and contractors, Baldwin is pleased to offer a line of luxury hardware for the discriminating consumer, our Prestige Series. Feel the difference - Baldwin hardware is solid throughout. With a 60 year legacy of superior style and quality, Baldwin is the choice for an elegant and secure presence. Tobins refined curves and sleek contours are delightful to the eye and pleasing to the touch. The crisp, clean appearance of the Satin nickel finish adds to the overall look of the product and brings a modern feel. The dummy, or inactive function, is surface mounted on doors where only a pull is required. 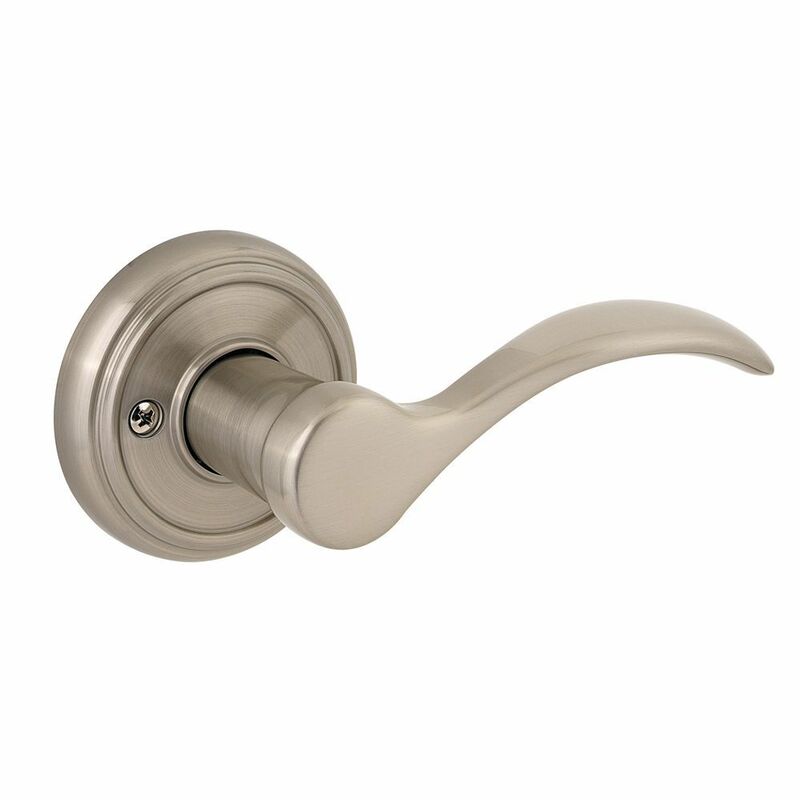 Prestige Tobin Satin Nickel Right-Handed Dummy Lever is rated 4.6 out of 5 by 5. Rated 3 out of 5 by LARRY from This handle is fine ,however it should be explained in product description that this is only 1 no... This handle is fine ,however it should be explained in product description that this is only 1 non-functioning handle and not a pair of handles.